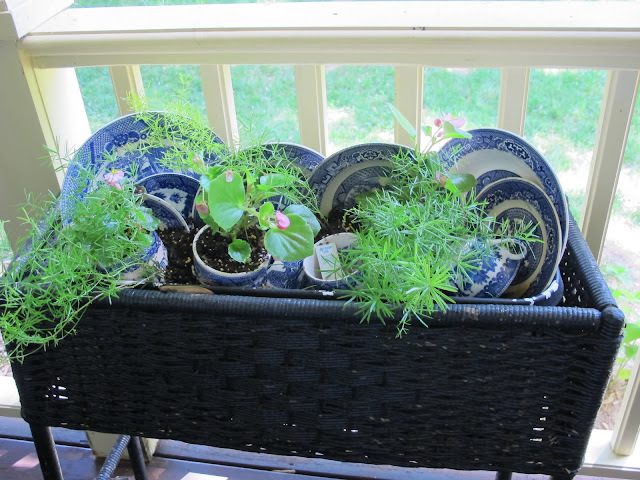 Miss Char took a wicker planter and filled it with some broken dishes and then planted some wonderful plants in the cups. Now how cute and creative is this. Now you know what to do with all those broken dishes. Go take a look, such a great idea. 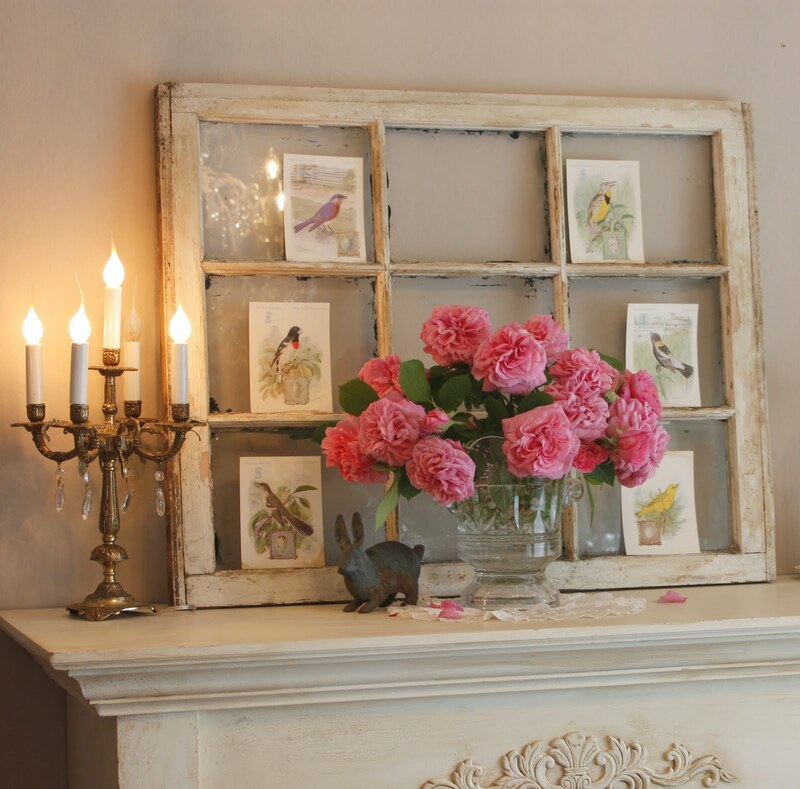 Don't you just love the use of an old window. This is so clever to change the pictures out for the seasons. Bellas Rose Cottage is displaying pics of birds for the summer season. Be sure to visit and see how creative she is. Finding a way to attractively keep all those kitchen tools handy is always a chore. Nancys Daily Dish has a fabulous solution. Love the look of this and you get to display some beautiful containers also. You have to see how From My Front Porch To Yours revamped her hutch, redid a mirror and created a much lighter look for the summer. Amazing. There were so many wonderful and creative ideas this last week. If you missed any of these or any of the others, be sure to check them all out. You will definitely find tons of inspiration to get your creative juices flowing. TABLE TOP TUESDAY will be up this evening, so get all those posts ready and link up. We all want to see what you've been doing. If you were featured, I hope you will grab my "I've Been Featured" button and place it on your sidebar. Follow me on Facebook to see tips and previews of upcoming projects and events. I just love the broken blue and white pieces in the planter. That was super creative. What a great idea to use broken dishes. I just adore how you feature blog ladies each week on your post! Lives are full and sometimes we miss a terrific inspiration. By doing your feature review...you allow us to see something amazing that we might otherwise miss! Thank you for calling our "attention to detail"! Your weekly meme . . .Table Top Tuesday is a highpoint of my blog week! The wicker planter with blue and white china is so pretty and clever! Love it! I just found an old window, now I know what to do with it. Great idea! Thanks for sharing some of these Ladies and their blog posts with us. Oh my gosh. I have a white wicker planter just like the one shown that I've had out in the garage for years just wondering what I could do with it. Now I know. Thanks.